Batman Artist Greg Capullo Unhappy With Joker "Leak"
Earlier today, DC Entertainment revealed The Joker's reinvented look for the New 52. It was...not much different than his previous look, frankly, although it's hard to imagine that the whole "belt around the head" thing would be permanent. In fact, most of us are expecting a Joker that's a bit more disfigured, a bit more along the lines of the Christopher Nolan version of the character, and therefore a bit more creepy. 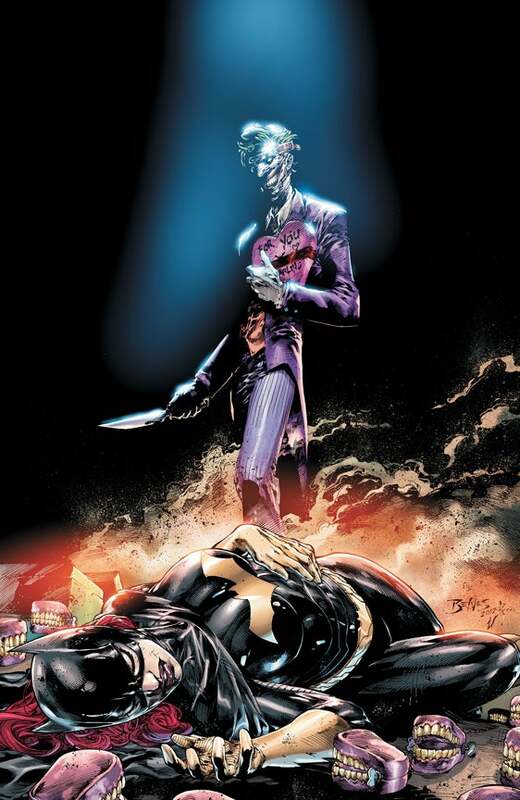 The rail-thin Joker with the pristine purple suit that showed up on the cover of Batgirl #14 was surprisingly similar to the Joker of old, and it seemed likely that in the grand scheme of things, the character's "true face" would be revealed at some point during the upcoming Death of the Family storyline. Apparently, though, fan-favorite Batman artist Greg Capullo wasn't particularly happy with even that much leaking, and took to his Twitter page to vent his frustration and to promise fans a more memorable, terrifying vision of The Joker when his interpretation of the character, appearing in the Scott Snyder-written Batman book, appears in the context of the story. "As careful as I’ve been to save revealing our new Joker, the powers that be have let it out ahead if our book. Stay tuned fir MY pics. "In my younger days, I’d have punched several holes in the walls of my office by now. Rest assured, I will give you terror when I draw him. "When I draw it, THAT will be it. "Try not to look at it. Wait for ours if you can. "The more I’ve thought about the Joker leak, the more I began thinking that it may have been for the best. The fact is, the way Scott and I.. will give you the Joker may have been too much for some with out this diluted sample hitting the web. DC, rightly so, had concerns about- Our images and story. Perhaps they leaked this intentionally to test the waters or to acclimate your minds to what is coming from us. "Team Batman knows how to do one thing. Destroy. So, even if you do see the leak, you ain’t seen nothing yet. Trust me. "I’m still not going to reveal my sketches. I won’t let this incident blow the whole works. Be patient. Terror is heading your way."